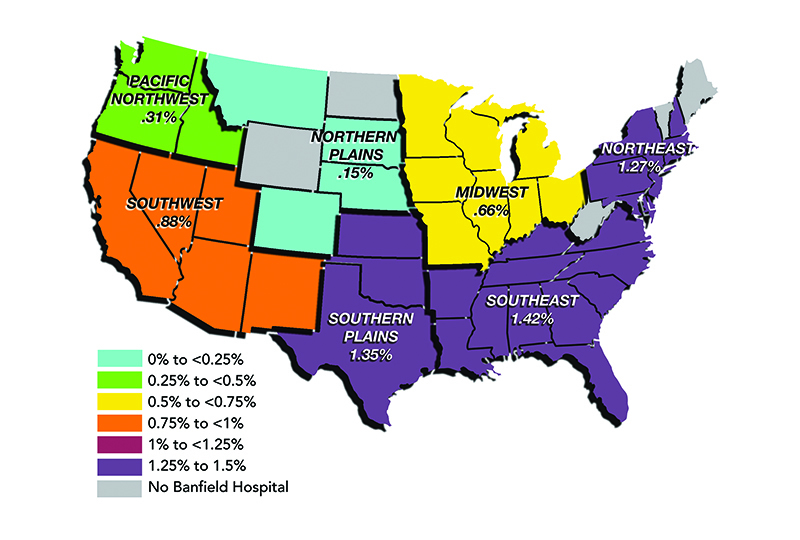 In each issue of Today’s Veterinary Practice, Pet Health by the Numbers correlates article topics with statistics provided by Banfield Pet Hospital (banfield.com). 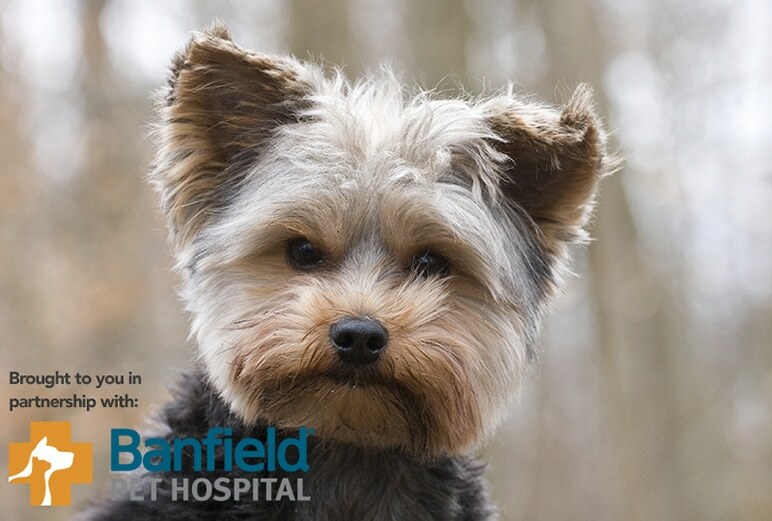 These statistics are extracted from data collected from the medical records of nearly 2.3 million dogs and 470,000 cats presented to more than 850 Banfield Pet Hospitals in 2013. Learn more about data collection by reading Welcome to Pet Health by the Numbers (January/February 2014 issue) and Key Findings from the State of Pet Health 2014 Report (May/June 2014 issue), both available at tvpjournal.com. The following tables outline the prevalence of ticks in dogs and cats presented to Banfield Pet Hospitals in 2013. Mites and ticks are discussed in Canine Arthropods: Mites & Ticks Recommendations from the Companion Animal Parasite Council. * NOTE: Age group totals will not match overall totals. Age groups are derived from visit age in 2013; some pets may have been counted in multiple age categories (eg, a pet that visited as a juvenile and then as a young adult in 2013). 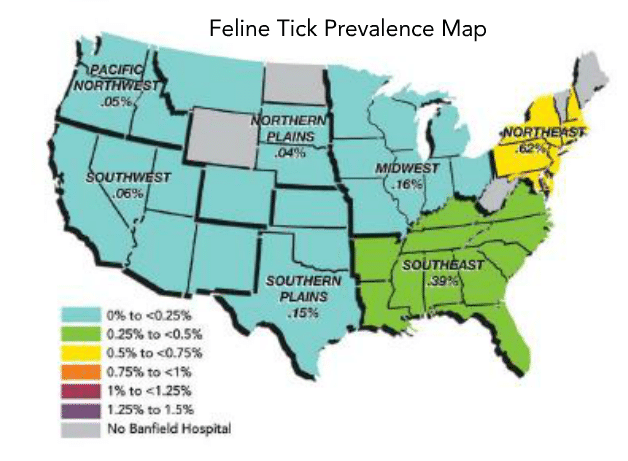 Path to Pet Wellness: This dataset confirms that ticks infest pets throughout the United States, and the geographic trends resemble those of previous, similarly conducted surveys.1 However, these data are generated from point observations in clinic, an approach that does not accurately capture the episodic nature of tick activity. As such, the prevalence values dramatically underrepresent actual tick risk. Raghavan M, Glickman N, Moore G, et al. Prevalence of and risk factors for canine tick infestation in the United States, 2002-2004. Vector Borne Zoonotic Dis 2007; 7:65-75. Sonenshine DE. Biology of Ticks. Oxford: Oxford University Press, 1993. Little SE. Ehrlichiosis and anaplasmosis in dogs and cats. Vet Clin North Am Small Anim Pract. 2010; 40:1121-1140. Meinkoth JH, Kocan AA. Feline cytauxzoonosis. Vet Clin North Am Small Anim Pract. 2005; 35:89-101. Little SE, Beall MJ, Bowman DD, et al. Canine infection with Dirofilaria immitis, Borrelia burgdorferi, Anaplasma species, and Ehrlichia species in the United States, 2010-2012. Parasit Vectors 2014; 7:257. Companion Animal Parasite Council. Recommendations for Parasite Control. Available at capcvet.org.